Christine Snowden’s passion for the swine industry is evident, as is the reason she was chosen as one of the 2018 Pig Farmers of Tomorrow. Christine Snowden loves being with her “girls.” She’s not speaking of her high school or college classmates, she’s referring to the gilts and sows under her care as farrowing manager for an AMVC-managed farm in Illinois. This passion for her “girls” and for pork production in general shows through and is part of the reason that she joins Emma Lasco and Adam Krause in the second class of Pig Farmers of Tomorrow. Since the three were announced at the Pork Industry Forum in March, they have been sharing their pig farming stories to the public, and Snowden’s passion shines through as she takes her “followers” through the building of this new facility. “I found this (being Pig Farmer of Tomorrow) to be super, super enjoyable and super rewarding, because getting to go talk to young people is one of my favorite things to do,” she says, adding that’s been rewarding to “give the pork industry the best light” on social media platforms and other speaking engagements. She is hoping to continue spreading the pork production story by getting Operation Main Street training, in addition to using her social media platforms of choice — Instagram and Facebook. “I love Instagram, because it’s all about the pictures, and that allows you to really show your passion,” she says. 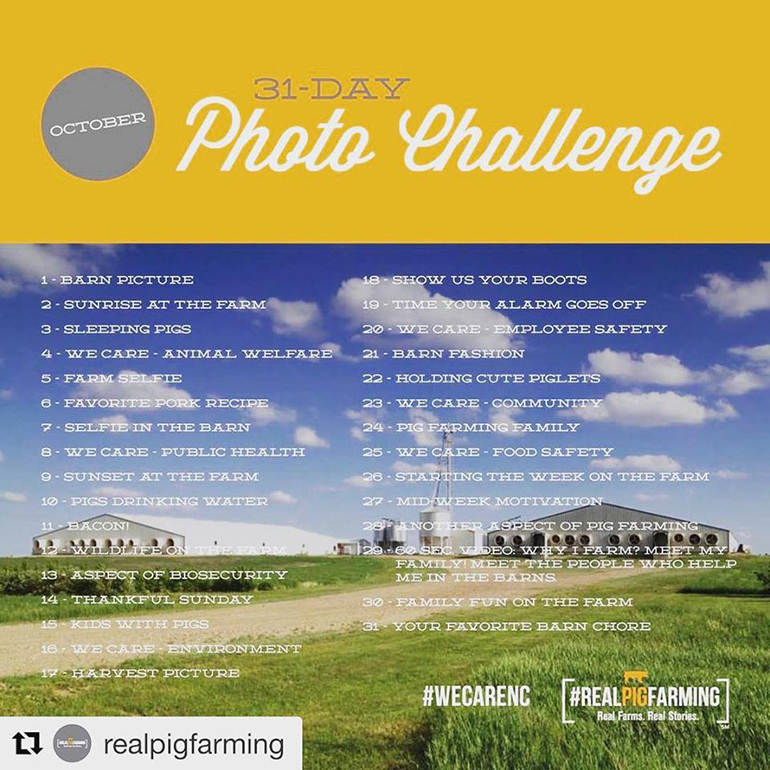 For the month of October, Real Pig Farming encourages all connected with the U.S. swine industry to participate in a 31-day photo challenge, each day posting a photo on social media of specific aspects of their operation. For example, Oct. 1, barn picture; Oct. 17, harvest picture, and Oct. 22, holding cute piglets. You can catch up with Snowden on Facebook to see her progression throughout Porktober. That in itself is a pretty good Pork Month message: Everything’s better with bacon on it!